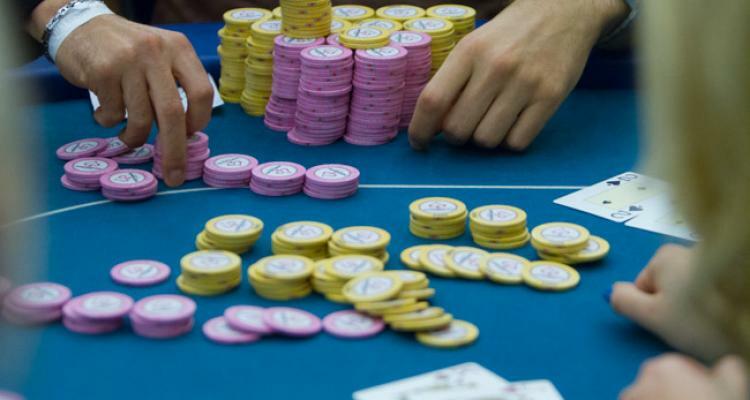 Pot-Limit Omaha Hi-Lo Split is growing in popularity because it combines the excitement of PLO and the split-pot action of normal Omaha 8 or Better. However, the games do play a bit differently so today we offer some tips to improve your PL Omaha 8 or Better game. While calling down with the second-best hand in Omaha Hi-Lo is not recommended, doing so in PL Omaha 8 is a true recipe for disaster. In the limit version of the game you're normally getting the price to call down with the second-best hand in most spots. You're almost never getting the right price to call a pot bet at the river. A common mistake in the PL version of Omaha 8 is when players decide to call multiple bets with the nut high or the nut low without a redraw to the other half. In many spots, if you are facing a massive bet with only a one-way hand, your opponent at best has you tied for that hand. At worst he's freerolling and you can still get outdrawn. The exception to this would be scenarios where you have the stone cold nuts for high or an un-counterfeitable nut low. Otherwise, you will want to fold. Many players can’t see folding a nut low or the nut high but you're taking too big of a risk with your money against someone who is freerolling. Just be aware that if you make the call without a redraw, you're gambling and that's not what you want to be doing. Those familiar with the Limit version of this game know that wrap hands such as 6-7-8-9 and 10-J-Q-K are dicey to play. However, there are times they can pay off in the right circumstances. In PL Omaha 8 you will be facing much larger bets for even the best of situations with these hands. Since many wrap hands are one-way hands, you want to do your best to avoid them altogether. In cases where you must play them, play them carefully. The concept of drawing to the scoop or fold is even more important in PL Omaha 8 due to the bet sizing. Choosing to play too many hands is going to frequently result in having to re-buy multiple times or go home early. Keeping that in mind and using the above tips can help you improve your game. Good luck at the tables!